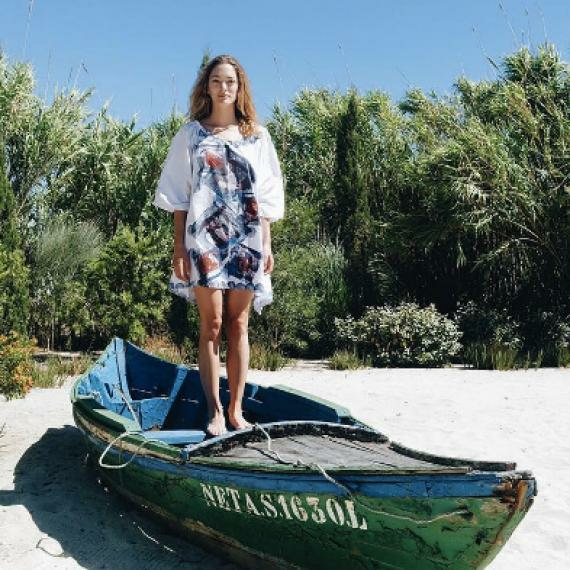 Every summer has it's own story — at least that's what Sofía "Chufy" Sanchez de Betak believes when crafting her specialty dresses. Hailed by Vogue as 2016's dress of the summer, the hand painted kaftans make a statement that is equal parts pretty and luxurious. Each dress is a work of art on its own, lending its wearer just a hint of fabulous while they stroll along the boardwalk or beach front. Under the Sky kaftans are available for purchase at their online boutique, starting at $190.